Multi platinum rockers Daughtry are coming to Salina. 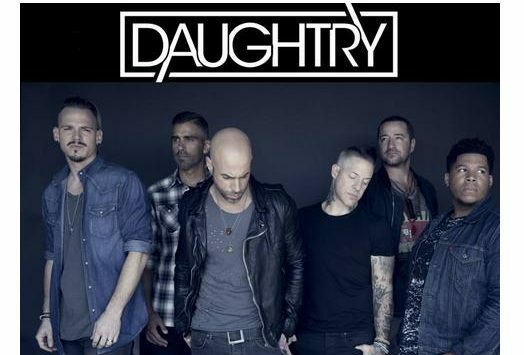 Daughtry will perform at the Stiefel Theatre on April 19th. Since rising to prominence on the fifth season of American Idol, Chris Daughtry has released four albums, all of which reached the Billboard Top Ten and have combined sales over 8 million copies in the U.S. Daughtry’s self-titled debut was the best-selling album containing four top twenty hit singles including the Grammy-nominated smash “It’s Not Over.” “Leave This Town” also reached number one, while “Break The Spell” was certified gold. Daughtry has collaborated with artists from Timbaland to Vince Gill to Carlos Santana and took on the role of Judas Iscariot in the 2016 live television performance of The Passion.